Success By 6 is a program of the United Way of Northeast Florida and is operated in Jacksonville by ELC of Duval. Success By 6 offers 2-year scholarships to a 4 or 5 star center that has signed a contract to partner with the Success by 6 Program. ELC of Duval determines "Star Ratings." 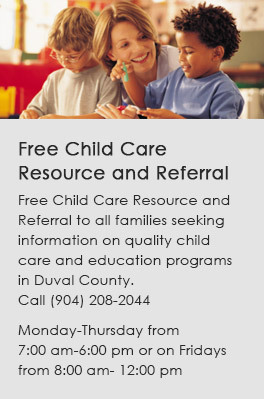 Eligible children must be 3 on or before September 1st of the program year. To be eligible, families must be between 120-200% of the Federal Poverty Level. How do I apply for Success by 6? Your child must turn 3 before September 1st of this program year. You must work at least 20 hrs per week and/or enrolled in school full time. 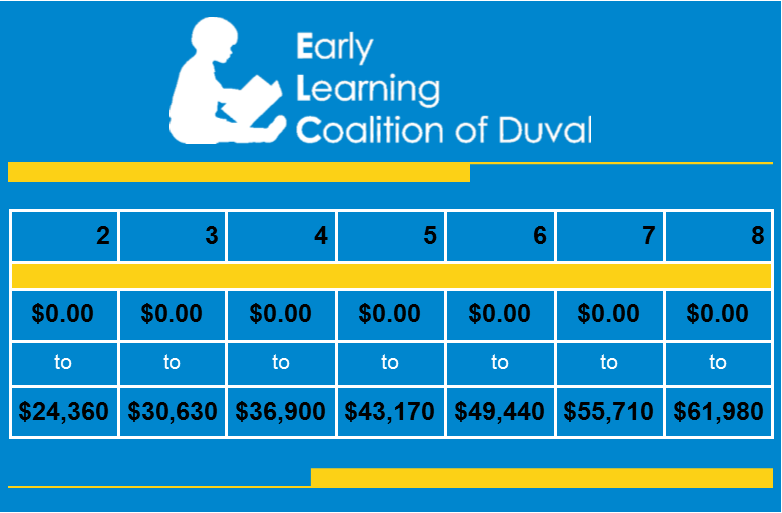 If you need help applying or have questions, contact Tinesha Byrd at 904-208-2044 x 285 or by email at tbyrd@elcduval.org. Once you apply, a staff member will review your application to determine your eligibility. If you are eligible, you will be placed on the Wait List until enrollment takes place, depending on availability of funding.